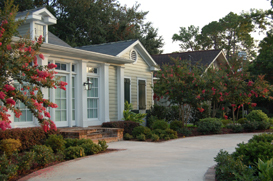 Opelousas real estate is located in St. Landry Parish, Louisiana and is the parish seat. With a favorable location at the intersection of Interstate 49 and U.S. Route 190, this city has a population of 16,634. Opelousas is the 3rd largest city within the Lafayette-Acadiana Statistical Area. It is also the 3rd oldest city in the state. The city was founded in 1720 and during the 18th and 19th centuries, served as a major trading post between New Orleans and Natchitoches..
Homes in Opelousas include many that were constructed from 1940 to 1969, followed by homes built from 1970 to 1994. There are some homes that were built from 1995 to the present as well as historic homes constructed prior to 1939. Residents of Opelousas real estate are served by the St. Landry Parish School District. There are several private schools in the area as well. The city is the center of Zydeco music. The Creole Heritage Folklife Center is a destination on the Louisiana African American Heritage Trail and the Evangeline Downs Racetrack and Casino. Opelousas has been hosting the Original Southwest Louisiana Zydeco Festival since 1982. As a result, Opelousas was named the Zydeco Capital of the World in 2000. In addition, there are many other festivals and events that provide entertainment for residents and visitors. From gumbo cook-offs to an International Joke Telling Contest, the Holy Ghost Creole Festival, the Christmas Lighting of Le Vieux Village and Mardi Gras celebrations, this is a city where something is always happening. Opelousas became the seat of St. Landry Parish in 1805 and was incorporated in 1821. This is an area with a rich history. When Baton Rouge fell to Union troops in the Civil War, in 1862 Opelousas was the state capital for nine months. The governor’s mansion is still standing today at the corner of Liberty and Grolee Street. The building is a private residence. Residents of Opelousas real estate have a diverse job market. The primary industries are manufacturing, agriculture, oil, wholesale and retail. Just to the north of Opelousas, Wal-Mart has a distribution center that generates $89 million dollars a year for this area.